Abstract. This presentation will cover a proposed UK Space Agency project to deliver air quality services for the Philippines which are focused on efficient monitoring, effective interventions and actionable information for healthy urban growth. 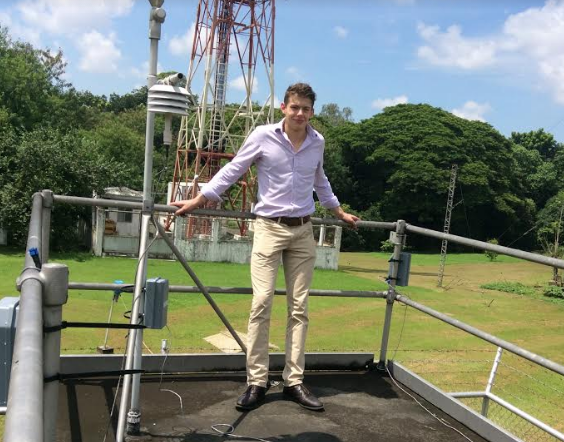 The Manila Observatory’s previous collaboration with the University of Leicester to implement a network of air quality monitoring stations is the foundation for a consortium of industrial, academic and governmental organisations aiming to improve Manila’s infrastructure and to develop a transferable and scalable citywide solution. Technologies and methodologies developed in previous UK space and terrestrial programmes, will be tailored to the climate of the Philippines, tested in a local environment, and demonstrated in Manila. Within this project, the capability of Filipino organisations to support and develop these systems will be enhanced, further increasing the local efficacy of this project, and developing a framework for wider propagation.